University of Notre Dame Press, 9780268022143, 178pp. Tariq Ramadan has emerged as one of the most influential Muslim theologians in the world today. In this important book, Gregory Baum presents for the first time an introduction to several key aspects of Ramadan's theological enterprise. Baum examines Ramadan's work historically within an interfaith perspective, drawing several parallels between Islamic and Catholic encounters with modernity. His comparison of the debates in the two traditions suggests that reform and renewal are compatible with the substance of both Catholic and Muslim traditions. 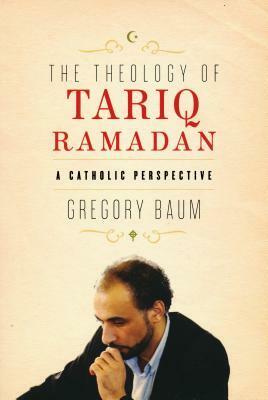 After a brief account of the evolution of Catholic theology up to the Second Vatican Council, Baum introduces Ramadan's published work and theological orientation, examining both within the historical development of Islam. He outlines Ramadan's theology of God, humanity, and the universe and discusses Ramadan's interpretation of sharia, the divinely revealed Islamic way of life. The book then addresses what fidelity to Islam means for Western Muslims and contrasts Ramadan's theology with the theological liberalism advocated by some Muslim authors. Throughout, Baum makes helpful connections between Islam and Vatican II Catholicism. Both belief systems are steeped in ancient traditions, rely on a sacred book, and find themselves confronting a modern context. Reformist Islam shares much with Catholic social thought in showing a regard for the poor and marginalized. Baum concludes by examining points of difference between Muslim and Catholic theology that support further conversation. This readable introduction to Ramadan's work is accessible to non-Muslim students, teachers, clergy, and general readers interested in Islam and interfaith dialogue. Gregory Baum is professor emeritus at McGill University and the founding editor of The Ecumenist. He is the author of many books, including Signs of the Times: Religious Pluralism and Economic Injustice and Religion and Alienation.